India Foodex is taking place for the seventh year at BIEC, Bangalore. Organized by Media today group, the event takes place alongside other events including GrainTech India, DiaryTech India, India Food Park Expo and MeatTech Asia, providing visitors access to an array of machinery and equipment suppliers in India. India is the world's second largest producer of food next to China, and is getting a larger foothold in the international market, particularly across the US and Europe. To fulfil higher levels of demand India is increasing its production of food products, and therefore there is an increased need from food manufacturers for high quality technology to enhance practices, production and logistics. Russell Finex, suppliers of high quality innovative processing technology, will be exhibiting at the show along with other participants from 28 countries across the globe. Visitors will have the opportunity to meet experienced sales representatives to discuss how Russell Finex machinery can be used for a wide range of food applications. 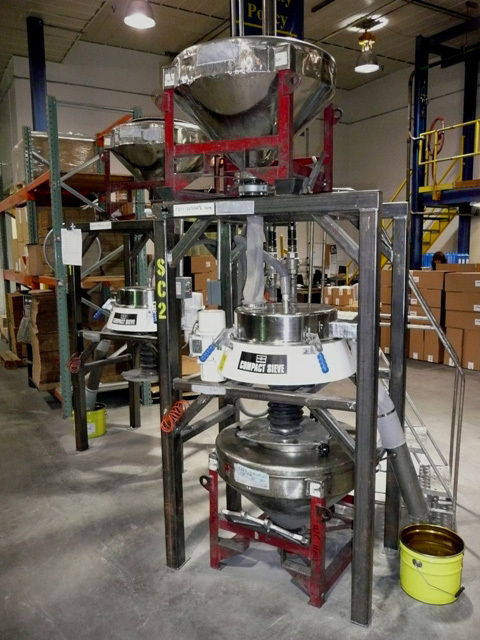 The Russell Compact Sieve®: a vibratory sifter providing high capacity check screening of powders and liquids to ensure the quality of your products. Due to its compact design it also fits easily into existing production lines. The range is suited to a wide variety of food applications, and can be used for check screening incoming ingredients right through to screening of final products prior to packaging. The Vibrasonic® Deblinding System: This ultrasonic sifter helps to prevent blinding and blocking of the sieve mesh when screening difficult powders. The system uses an ultrasonic frequency to break down the surface tension giving a clear mesh screen. It also helps to increase mesh life and reduce mesh damage. The Finex Ultima™: Exclusively available to the India market, this high performance vibrating screen is equipped with latest technology to deliver increased productivity and operating benefits. The Finex Ultima™ is the best choice for the food industry due to its hygienic open frame design and all contact parts are available in stainless steel SS 316. Its unique rubber suspension mounts helps achieve uniform sieving giving consistent product quality. The Self-Cleaning Russell Eco Filter®: This self-cleaning filter is designed with an enclosed system to provide high capacity filtration of liquids. A re-usable filter element removes the need to replace or dispose bags or cartridges, helping to save time and money. The range of self-cleaning filters can be used for various food applications including screening liquid chocolate and honey. Visit Russell Finex in Hall No. 1A, Stand A-4 at BIEC Bangalore to find out more on how Russell Finex’s range of separation equipment can help you to optimize your processes and meet your unique requirements. Please visit the Russell Finex India website for local contact details and more information on the wide range of screening equipment, including revolutionary vibro screens, vibro separators, ultrasonic sifters, centrifugal screeners and self cleaning filters.